I was a little undecided about doing a post on these as they are limited edition and I don't really like talking about products that are limited edition as I feel so bad when people can't get hold of them but I have seen that you can get the liquid lipsticks online on their own in different shades. So hopefully you will still be able to get hold of them. 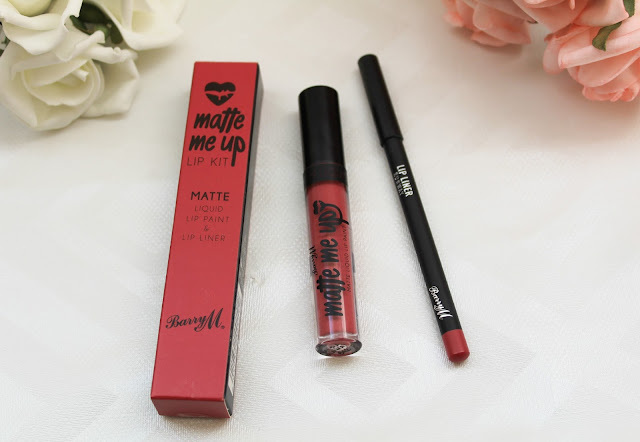 Although these lip kits and particular shades are limited edition ones that Barry M have launched not too long ago and these are the Matte Me Up lip paints and lip liner. I was only able to get one of the shades and that was the shade Runway but I am going to review just the one anyeay, as I am really loving this and wanted to rave about them. Keep reading to find out what I think about this potential Kylie Lip Kit dupe. The Barry M Matte Me Up Lip Kits are finally here, everyone, including myself, have been patiently waiting so long for these to launch. These are supposed to be a rival for the Kylie Jenner Lip Kits that does not cost a ridiculous amount of money and break the bank. I was really keen to try these out because I have fallen in love with matte lipsticks lately and I also never felt compelled to spend that much money on the Kylie Lip Kits as between the product price and then the shipping on top of that it just seems slightly ridiculous. The new Barry M Matte Me Up Lip Kits come in some gorgeous shades but unfortunately I could only get my hands on one shade in my local Boots and that shade was Runway. I waited a little while to get my hands on these because I wanted to read other people's reviews and see if they were any good and it is safe to say that I did not hear one bad thing about these. The liquid lipstick and a lip liner come in a thin box that is the same colour of the lipstick inside with the black writing and a heart shaped mouth that has liquid lipstick dripping from it. The lip liner is a soft matte texture and it is an all black pencil with the lip colour at the end and it also has embossed with silver writing. The liquid lipstick itself is a clear tube that has black writing along it with a matte black handle. I like the packaging of this as it looks really sleek and sets itself apart from others. The lip liner is a pencil instead of a wind up one and it appears slightly dry but when you actually apply it to your lips it glides on really nicely and allows you to be able to create a nice sharp line around the outline of your lips. 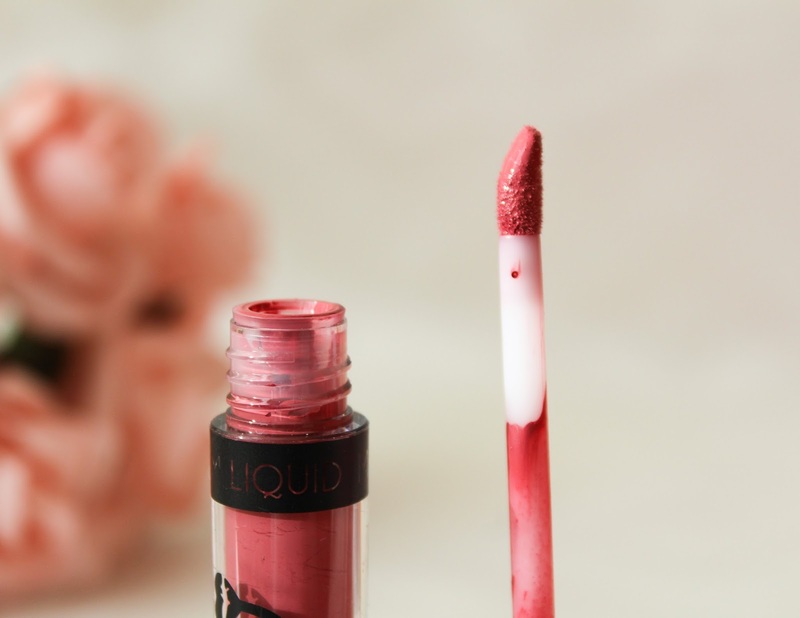 The liquid lipstick applies with an angled shaped doe foot applicator and I found that it was really easy to use and to apply the lipstick with. By having an angled tip applicator means that there is no mess and you can follow the lip line easily and without mess. The consistency of this lipstick is thin and that means a little with definitely go a long way and it also makes it easier to fill in your lips. I think that everyone who has tried these loves them, the formula is slightly runny but it does dry down really quickly. It is very pigmented and it doesn't feel like it is clinging to your lips or in any lines. Another thing I love about this is that it doesn't feel really drying or like your lips are having all the moisture sucked out of them. I was really impressed when I first tried this out as it is so comfortable to wear on the lips. They aren't as long lasting as some other liquid lipsticks that I have tried and if I eat anything that is slightly greasy then it can take a bit of it off but that's not a massive deal to me as I don't mind reapplying this. Even when reapplied it doesn't get cakey or flake off at all! I chose the shade Runway as it is a purpley pink shade that can go lovely with a simple eye look and I find that it's the perfect shade for the spring and summer. I also chose this shade because it was the only one that would look good on my skin tone. 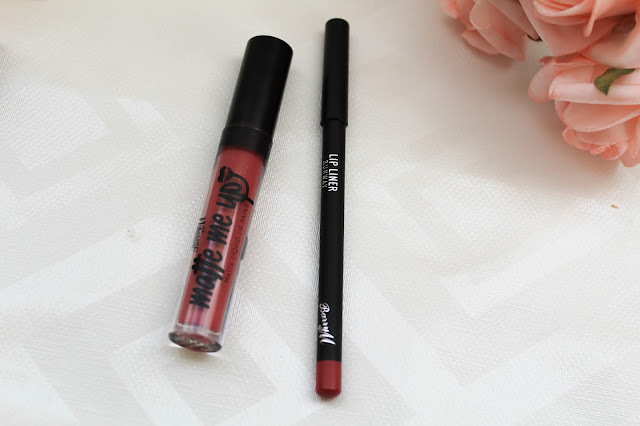 Both the lipstick and the liner are a perfect match, however the liquid lipsticks does apply slightly lighter at first but once it has dried down it matches the shade of the liner. The pigmentation of both the lipstick and the liner is great! This liquid lipstick is honestly really comfortable to wear and half the time you can't tell that you are wearing it because it dries down completely matte. It isn't drying or flakey at all and doesn't feel sticky either. It does last a long time but like I mentioned previously, after eating you might need to re-apply it and it does re-apply nice and not cakey. I wore this to uni so it was applied around 6:45am and it wasn't till around lunch time (1pm) that I needed to re-apply it. I guess you could also use the lip liner on its own and add some lip balm over the top instead if you don't want to apply the lipstick again. These retail at £6.99 in both Boots and Superdrug and I think they are really affordable considering you get both a liquid lipstick and lip liner. Unfortunately, these are limited edition and I am not sure if they are still in stores or online. However, like I mentioned you can get just the liquid lipstick online in different colours. I am certainly in love with these lip kits and I think I will have to purchase just the lipsticks online in other colours as they are just so easy and comfortable to wear! I have also had many compliments on this when I have been wearing it so that's always a plus! Have you tried these lip kits if so, what are your thoughts? Also, what are your favourite drugstore liquid lip kits? Leave me a comment below! These look like such good dupes for the Kylie kits, love the packaging too. I am really undecided on which shade to try first. 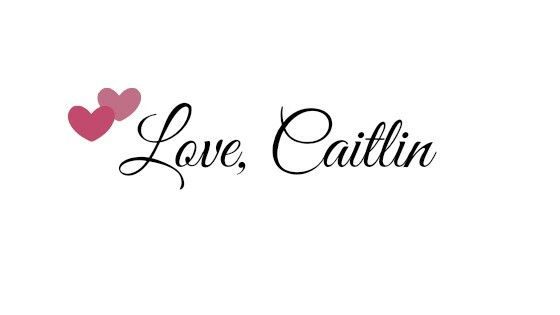 They are, and so much more affordable! 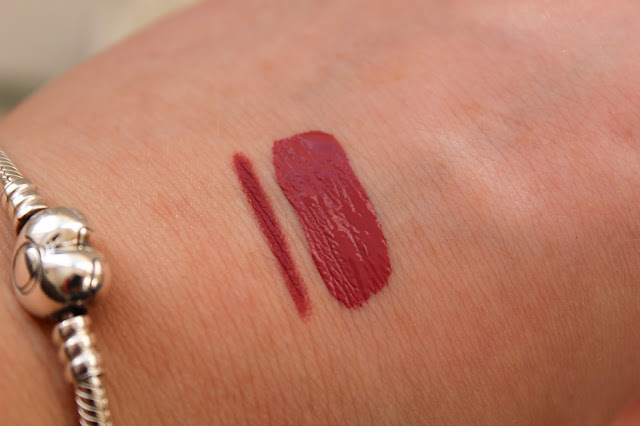 I love finding a good dupe, I think this one is a dupe for Posie K :-) Try them all!